Although the name always makes me think of a monster from the videogame series Final Fantasy (geek alert, soz!) 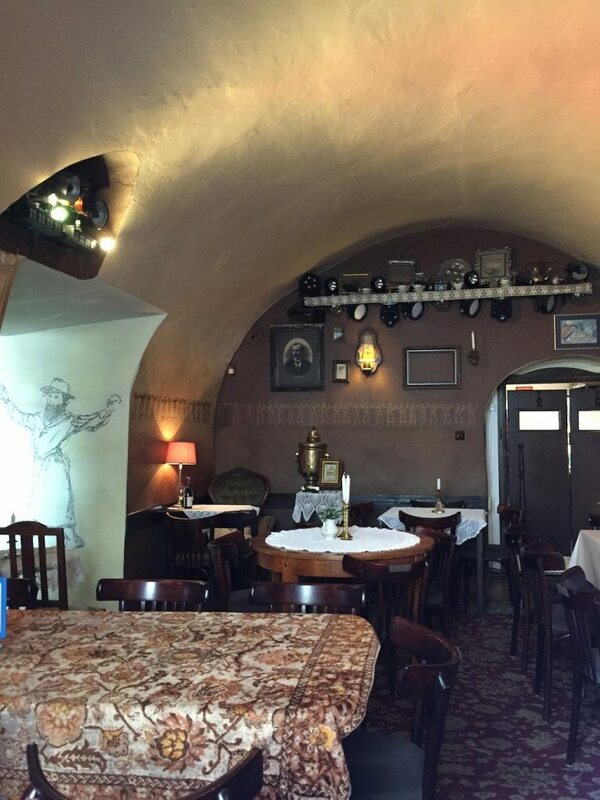 Mandragora is actually a traditional Jewish restaurant, found in the heart of Lublin’s old town. Set on one of the corners of the main square, it looks like the place has been there forever, when in reality, the restaurant is only 14 years old. The building itself is old, which partnered with the traditional Jewish décor and staff outfits, really creates a great ambience. 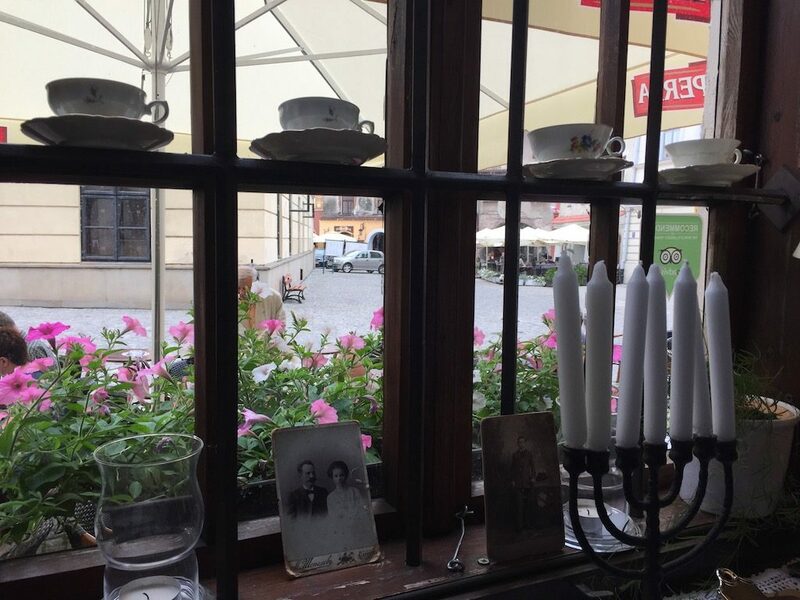 We took a table in a bay window area, and it felt like I could have actually been in an old Jewish lady’s dinning room thanks to the net curtains, knick-knacks wherever you look, lacy tablecloths, old framed photos and even tea cups on the windows! 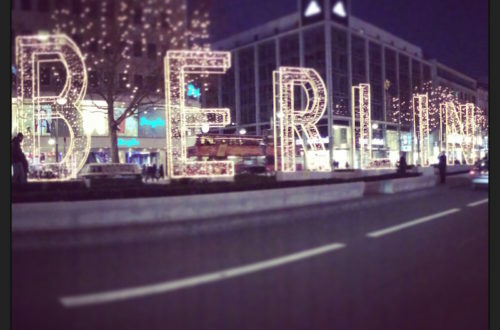 It’s totally kitsch, but I loved it for that reason. 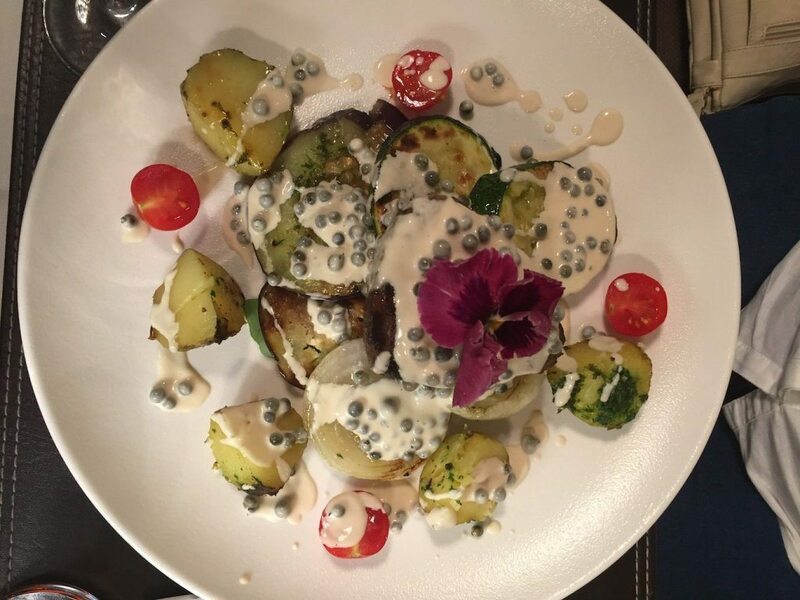 Mandragora is renowned for its speciality Jewish dishes, which are made using old pre-war recipes. Highlights include the garlic dumplings, which are filled with cheese, potato, and unsurprisingly, garlic. These were absolutely delicious, and if you’re anything like me, a total carb monster, you’ll love these bad boys, hands down. 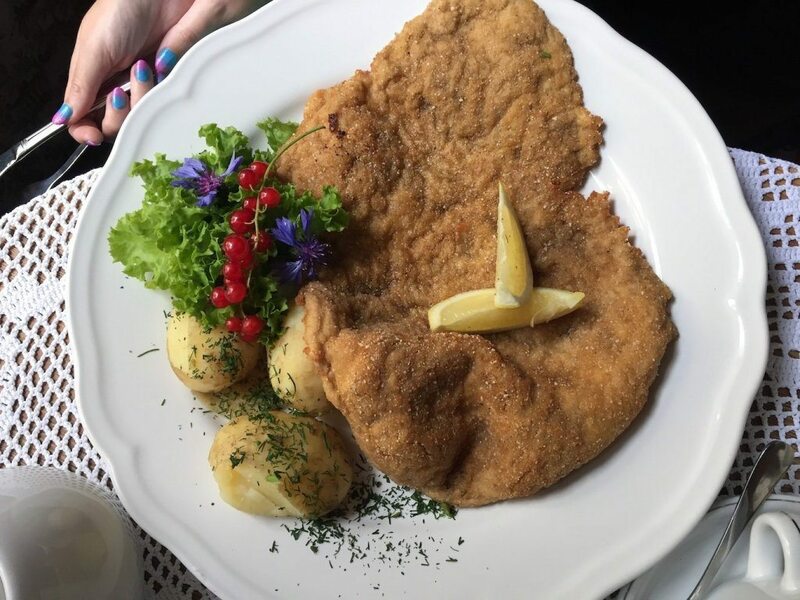 Then there are the schnitzels, which have to be seen to be believed. These are gargantuan – they pretty much take up the entire plate, leaving little room for the seasoned boiled potatoes (which also get a thumbs up). The breadcrumb seasoning was the tastiest I’d ever tried, and no matter the size of your hunger, you’ll want to devour the whole thing. As well as great food and a great setting, the service in Mandragora was also faultless, with our server taking the time to run us through all the specialities and advise us on what we might like. 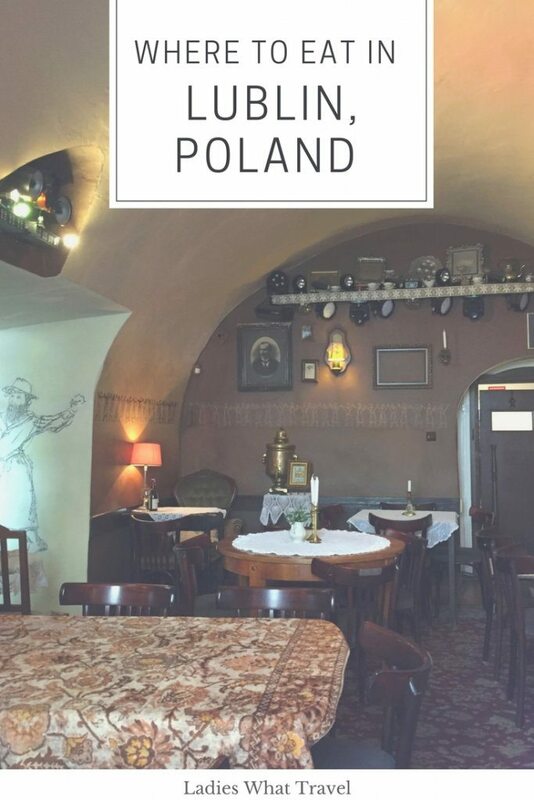 It’s a great place to choose if looking for a sit down meal within Lublin’s old town. 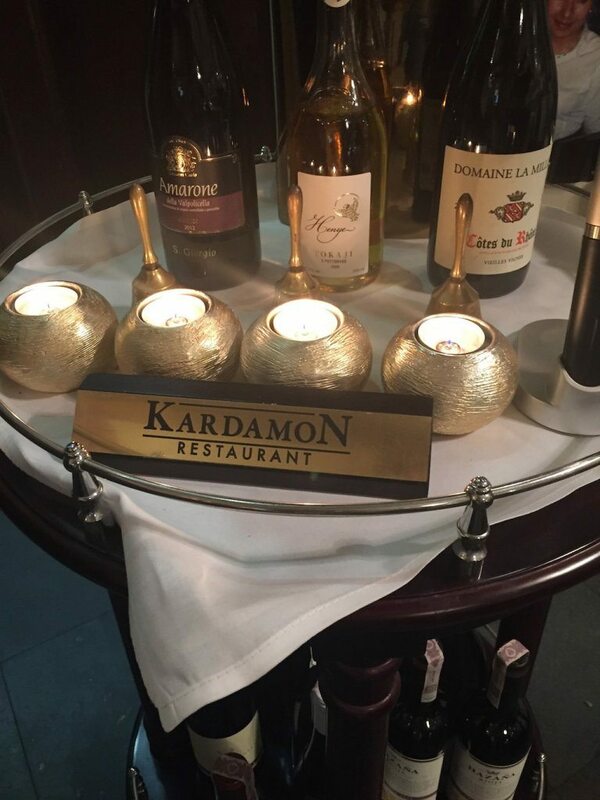 If you’re looking for a super stylish eatery, then Kardamon is the restaurant for you. Head down the stairs of an unassuming pre-war tenement and you’ll enter this tiny looking, elegant restaurant that’s all low lighting, velour and funky chandeliers. All the walls are covered in photos of famous visitors to the restaurant – mainly Polish stars as I only recognised one face amongst them all. It’s all nooks and crannies with lots of separate spaces giving guest a bit of privacy and a special ambience. The menu is quite small, but a nice selection of dishes are on offer. Again portions are huge, as I discovered when my mum’s steak arrived (wowza!) so I was glad that I’d actually chosen to go with two starters over a main. 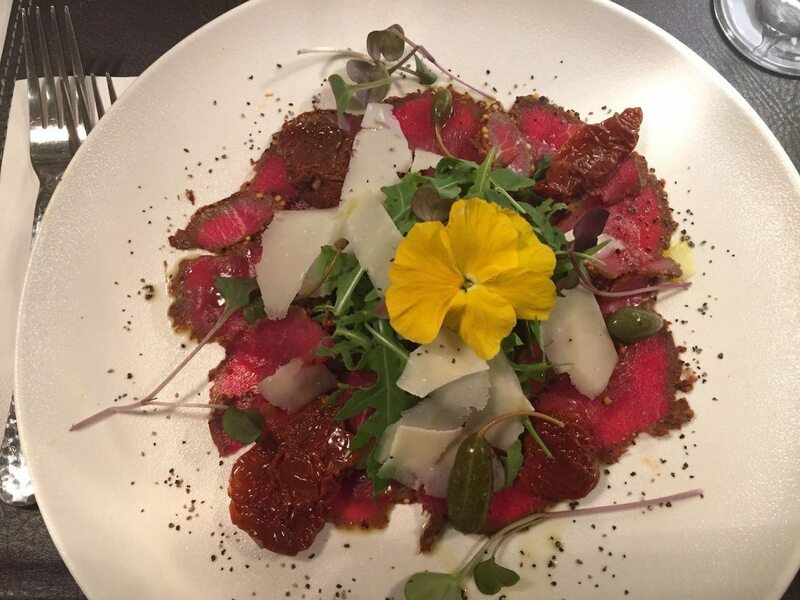 My dishes were beef carpaccio and chilli king prawns, both perfectly cooked and full of flavour. 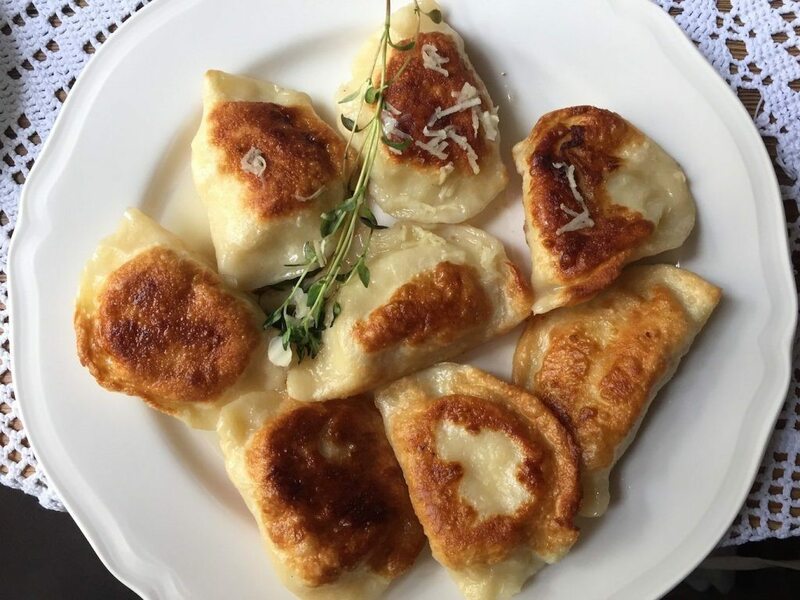 The food is high quality, but as one of Lublin’s more expensive restaurants (although still very good value compared to UK prices), this is what you’d expect. From the Kitchen is a bright, modern restaurant with lots of white shabby chic style furniture. Upstairs has more of a café feel, and I loved how some of the benches were actually made out of upcycled crates. 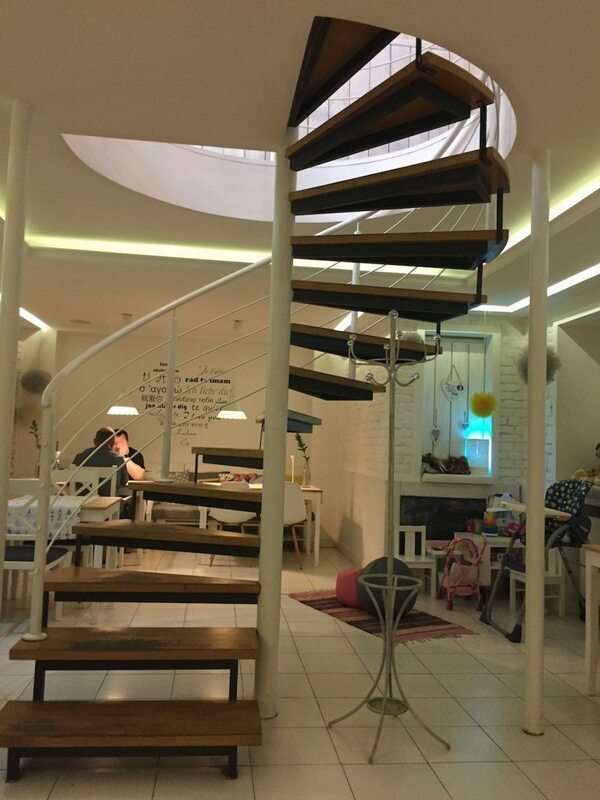 Head down the spiral staircase however, and you’ll find a bigger restaurant space, still light and homely with its white tablecloths and furniture. What makes From the Kitchen different though, is you can watch your food being cooked. 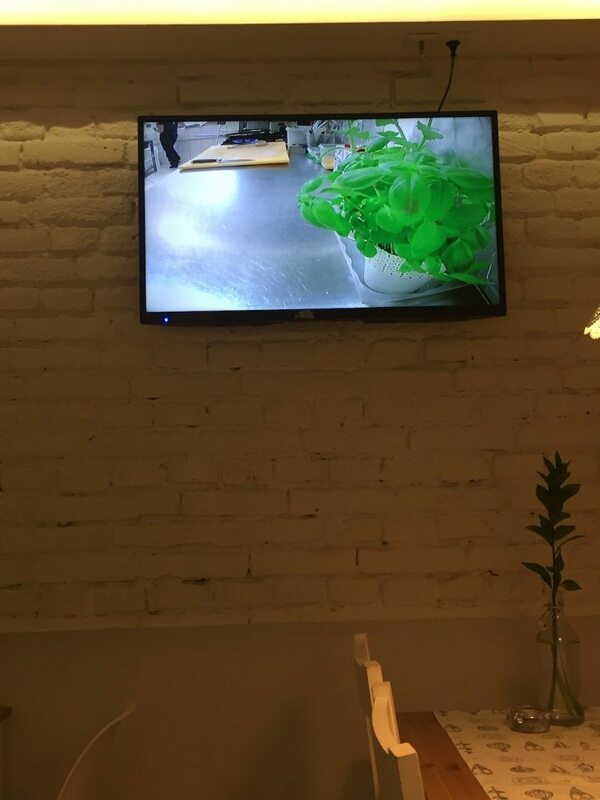 Around the restaurant are TV screens that show you what’s going on in the kitchen. It’s a quirky little idea but a cool one, although it can stop conversations though as you can’t help but keep checking out the screen to see what stage your meal is at! The menu is small but the food tasty, a perfect spot for lunch, especially as it’s so well priced. 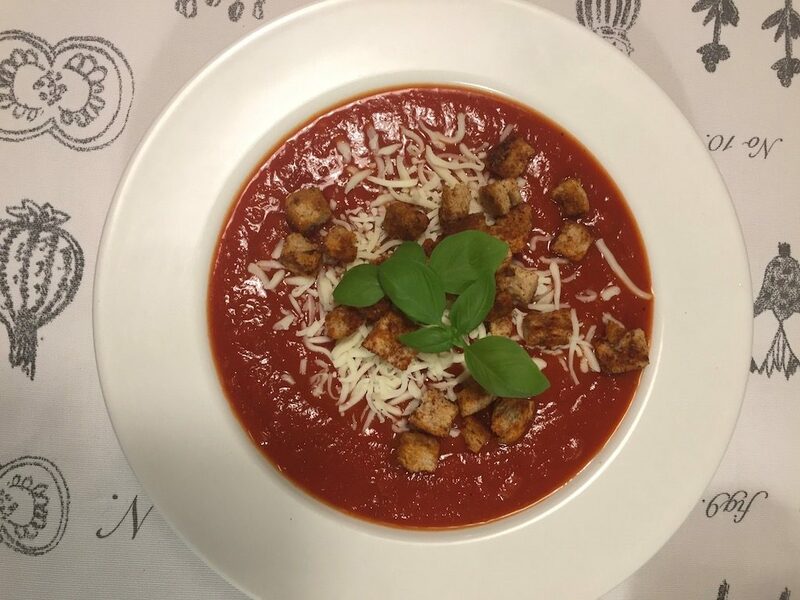 I highly recommend the tomato soup – but be warned, you might be surprised to discover it’s a cold dish! If I lived in Lublin, this café would, without a doubt, be my regular. Sadly though, you might never know it existed if you didn’t have a local recommend it to you! 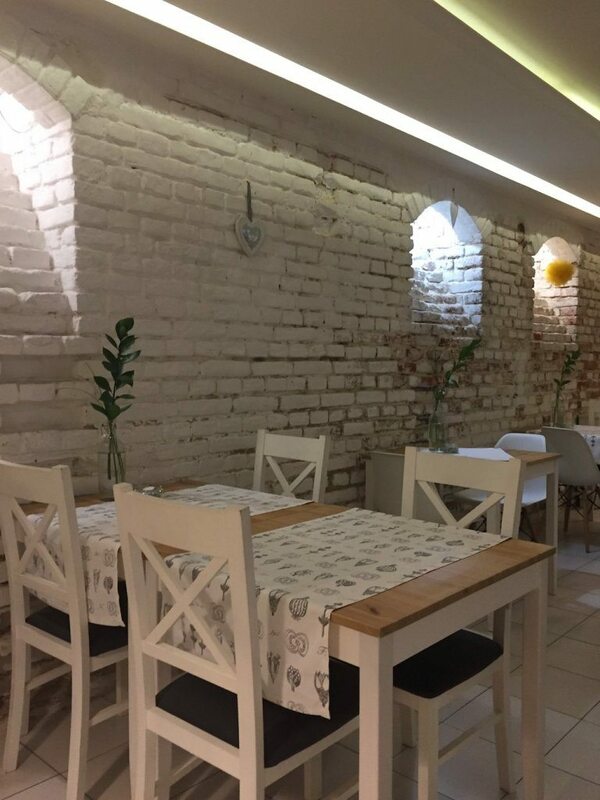 Thankfully our Lublin host, the lovely Monika, told me about this special find, which is hidden away down a side street just off the main Old Town Square. Simply head through Fish Gate and follow the path down – just be careful you don’t miss it! 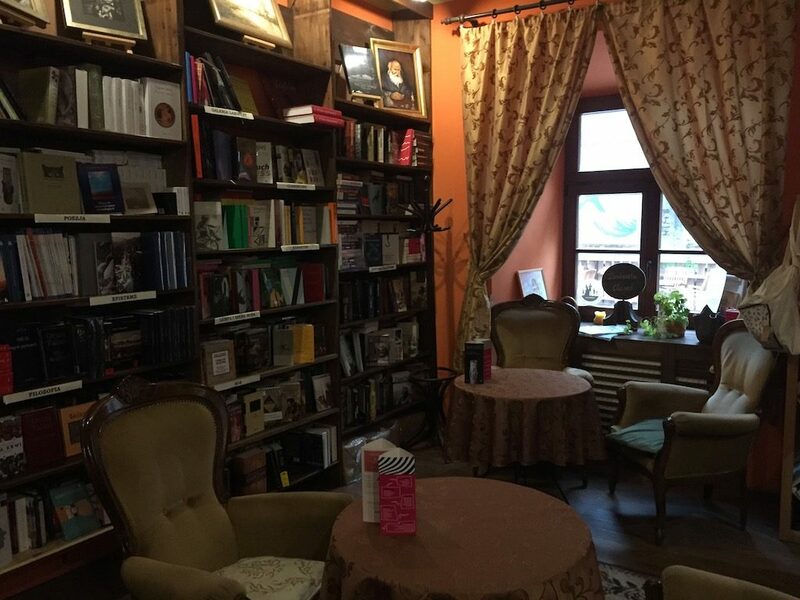 In English Między Słowami means ‘between words’, and this place is actually a bookstore come café. 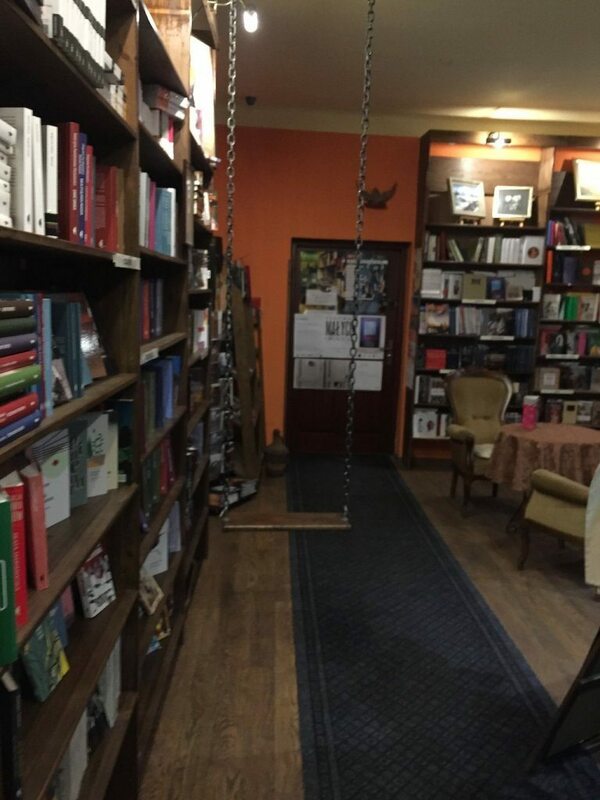 A super cool bookstore at that – with low lighting, funky old lamps, floor to ceiling shelves, comfy seats to read in and the piece de resistance: a swing hanging from the ceiling! However head on through the shop and you’ll find a cool warren of spaces filled with mismatched chairs and tables, more bookshelves and right at the back at cute little courtyard to enjoy in the summer. This place is so cosy and inviting that you feel you’d be welcome to while away an afternoon here, reading, chatting with friends or even playing a board game. That’s because there are shelves and cupboards brimming with games you can take out and play. 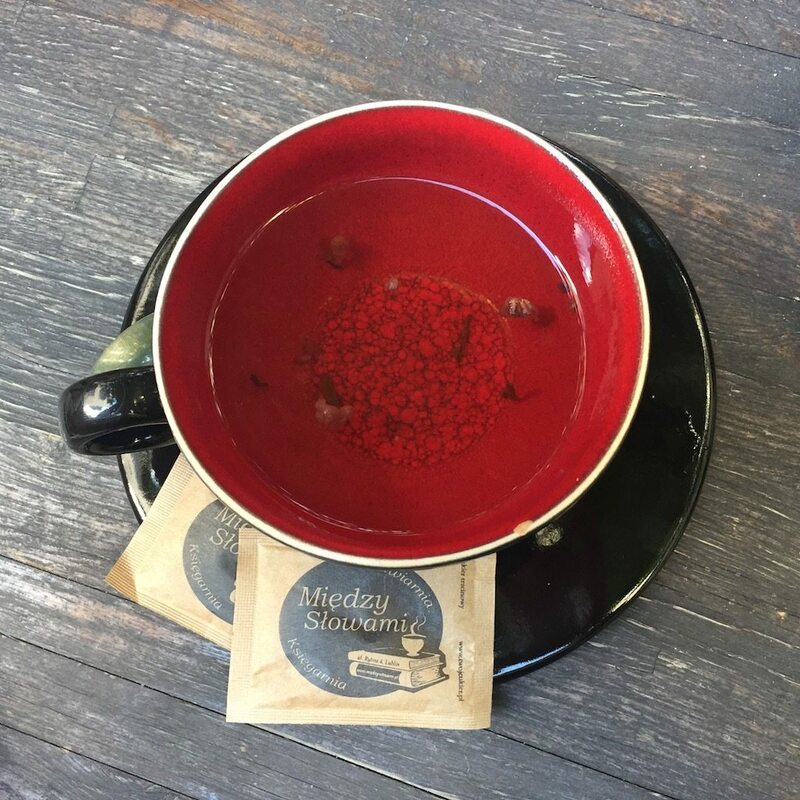 It’s is a dream for book lovers and coffee lovers alike, and little touches like the menu created to look like a book give it a little ‘je ne sais quoi’. Very much a haven from the outside world, I’d love to have a place like this in my hometown! This post contains affiliate links – we get a small commission if you use these links but there’s no extra cost to you. 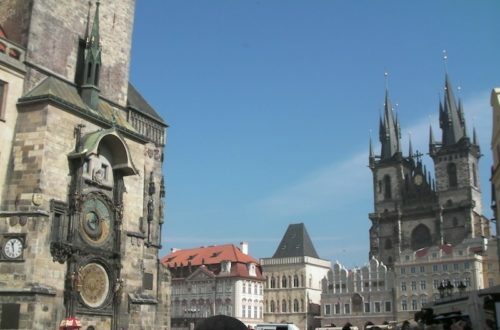 Have you seen Pragueâ€™s astronomical clock? I can’t find From the Kitchen on the internet. Would you have an address because it sounds great and I would love to try it? I did find a vegan place called Fresh Kitchen, would that be it? Dear Elspeth, the Polish name of the restaurant is “Od kuchni”.